Komodo Edit for Mac is free, multi-language editor.You can use Komodo to focus on what your code can do; let your editor sweat the Details. 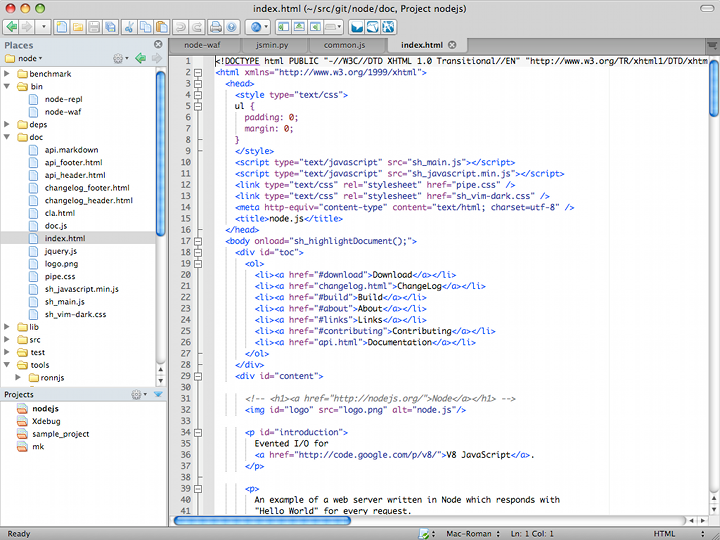 Based on the award-winning Komodo IDE, Komodo Edit is a free, multi-language editor that makes it easy to write quality code.There is no more checking for the latest features or need to reinstall Komodo to get the latest version, with the characters of automatic insertion of closing brackets, braces etc. * Komodo Edit for Mac 6 adds a redesigned project system with easy local and remote file browsing (the Places sidebar), HTML 5 and CSS 3 autocomplete, Python 3 support, updated hyperlinking (Ctrl+click'ing) for navigating code, and is generally faster. A new Invoke Tool dialog makes finding and using dozens of useful tools in the Toolbox easy. Qweas is providing links to Komodo Edit for Mac 7.0.2 as a courtesy, and makes no representations regarding Komodo Edit for Mac or any other applications or any information related thereto. Any questions, complaints or claims regarding this application Komodo Edit for Mac 7.0.2 must be directed to the appropriate software vendor. You may click the publisher link of Komodo Edit for Mac on the top of this page to get more details about the vendor.